Millions of us around the UK experience high levels of stress which can be damaging to our health. April is National Stress Awareness Month aiming to raise awareness and help you find ways to cope with the stresses in your life. According to the Mental Health Foundation, 74% of UK adults have felt so stressed at some point over the last 12 months they felt overwhelmed or unable to cope. Stress can be a significant factor in mental health problems including anxiety and depression but can also be linked to some physical health problems like heart disease, insomnia and digestive problems. If we can understand what is causing us personal stress and learn what steps we can take to reduce it, we can help to combat it. Take 30 minutes a day for yourself, to take a walk, a bath or simply to sit with a cup of tea. A crucial part to ease stress is to find a solution that satisfies you and not someone else. Having a good support network of friends, colleagues, family, can really help. We all need to take time to socialise, relax or exercise. Setting goals or challenges for yourself can really help with stress and give you something else to focus on. Don’t rely on caffeine, alcohol or smoking as a way of coping with stress. Evidence shows that people who help others by volunteering or through community work are more resilient and are happier. Prioritise your work concentrating on the bigger tasks and leaving the least important tasks to last. Try writing down 3 things that went well or which you are grateful for at the end of each day. Changing some difficult situations are sometimes just not possible, concentrate on the things you can change. If you have tried self-help techniques and you don’t feel they are working, you can get free psychological therapies like Cognitive Behavioural Therapy on the NHS, and the best bit is you can self refer so you don’t have to go through your GP. 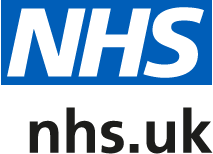 Find out more from the NHS Website.